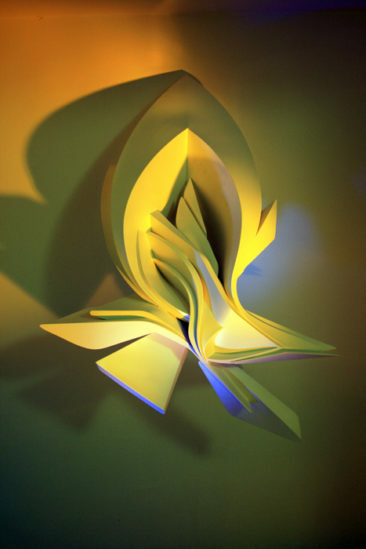 CHARACTERISTICS – LaBuenaYLaMala usually builds light mobile sculptures, hanging from the ceiling similarly to floating objects. 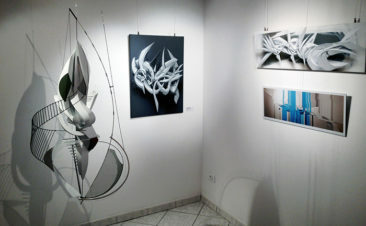 She mainly works with metals such as steel, aluminum, copper and waxed thread. 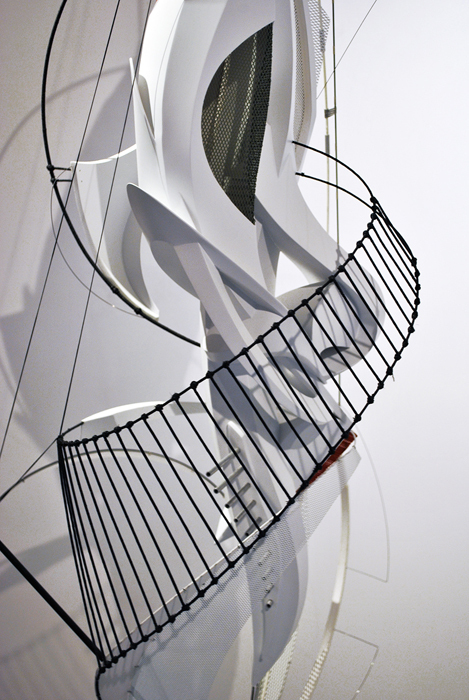 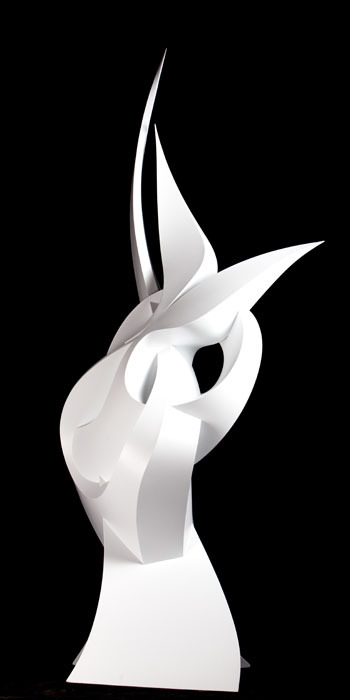 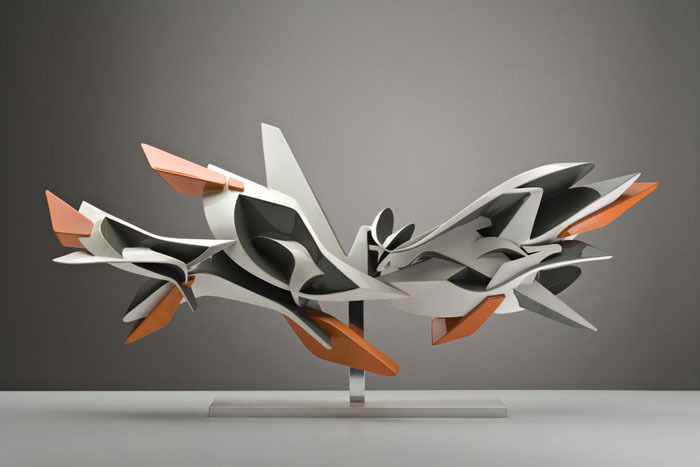 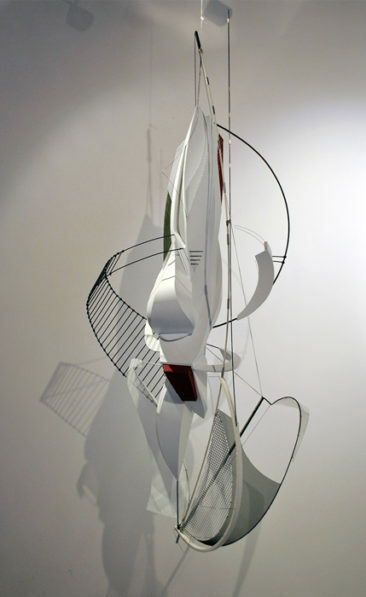 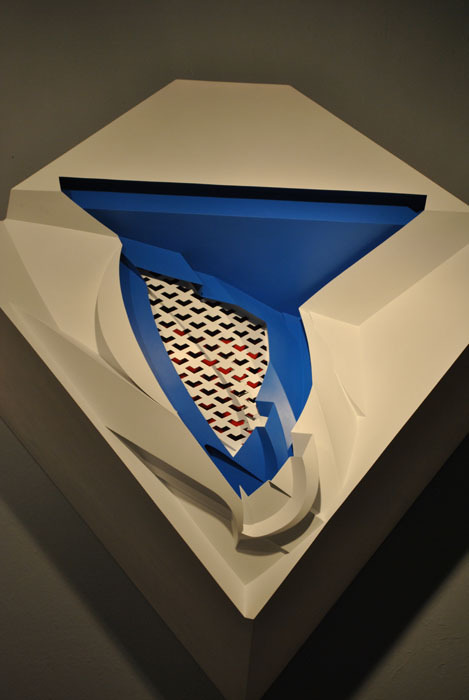 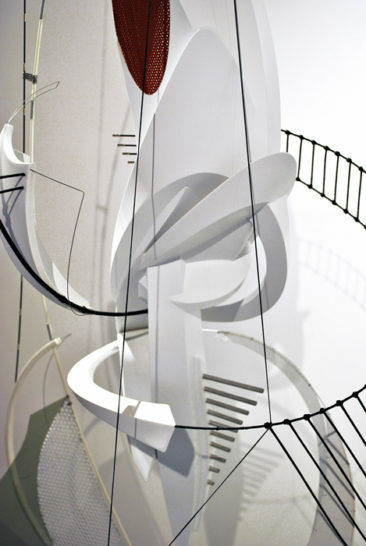 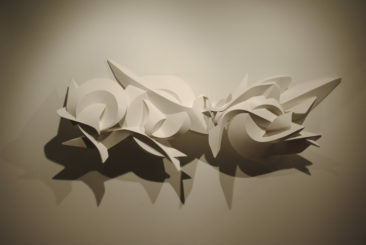 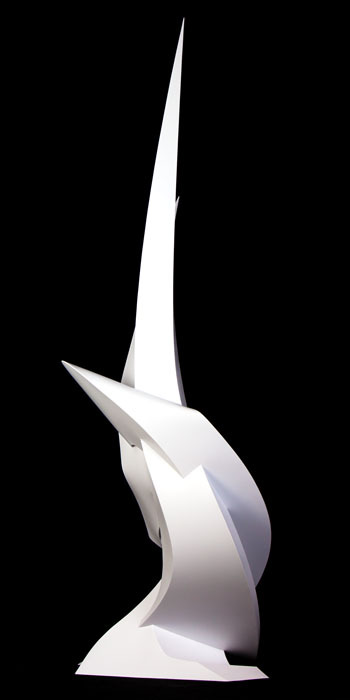 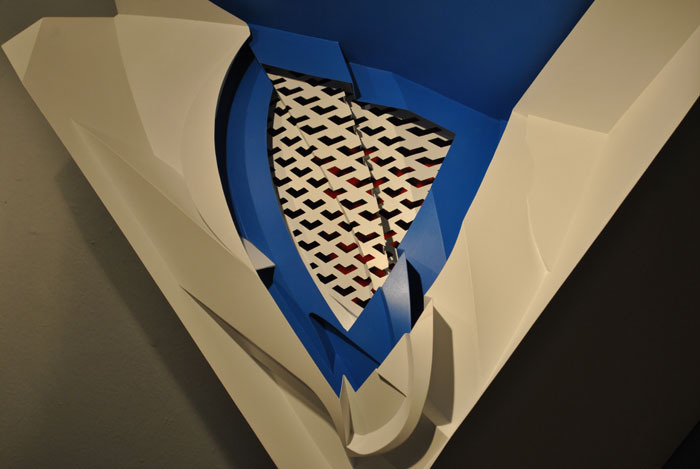 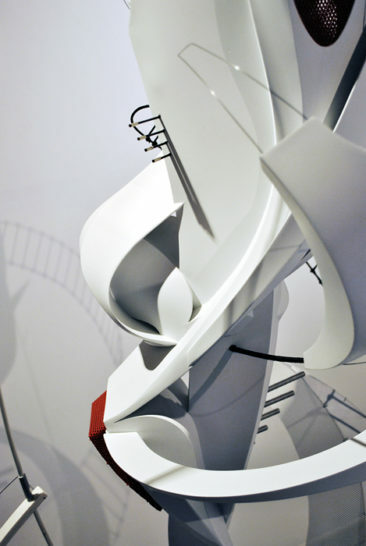 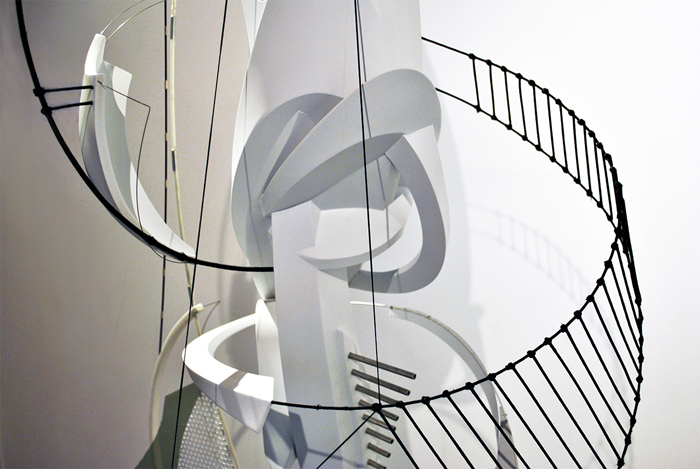 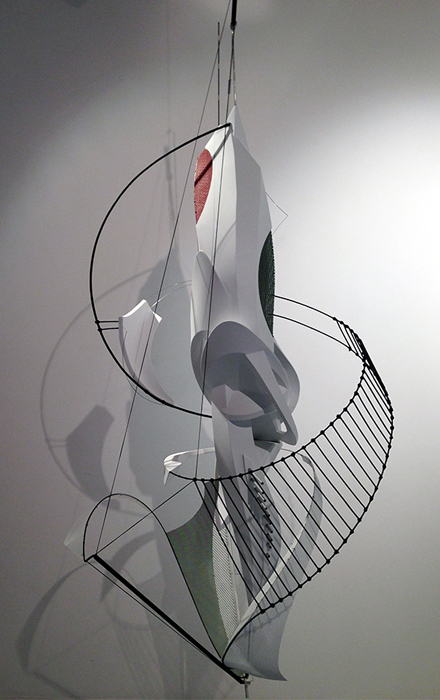 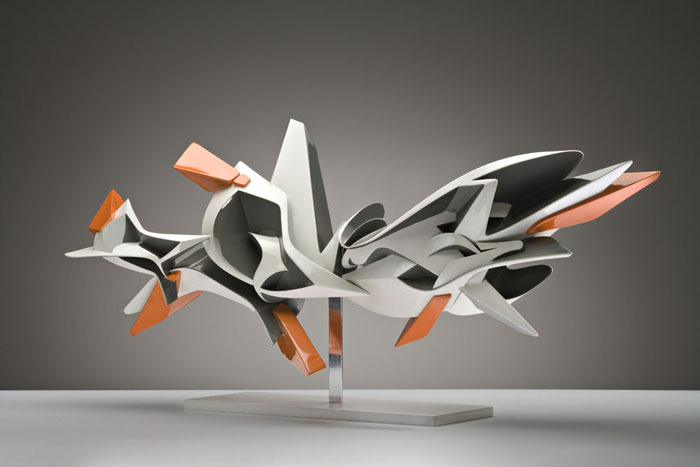 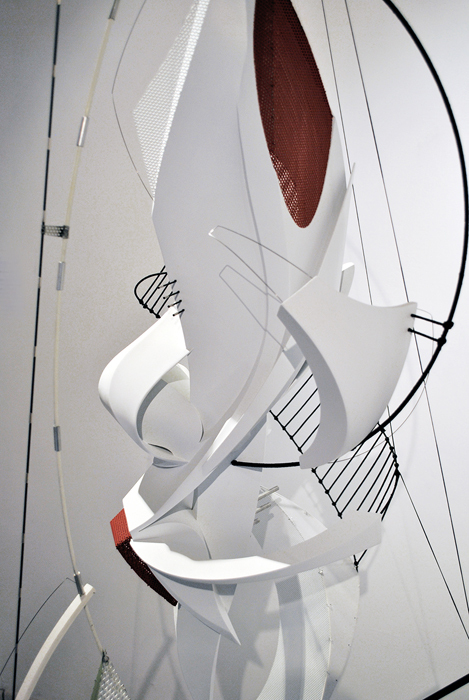 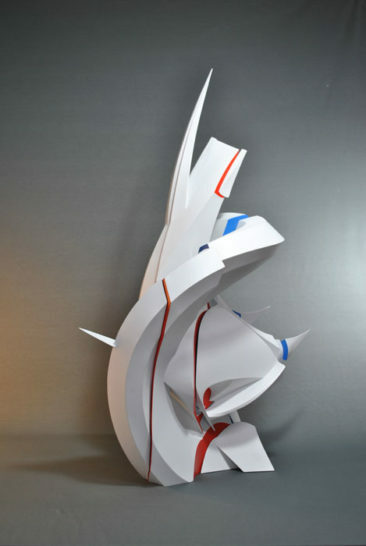 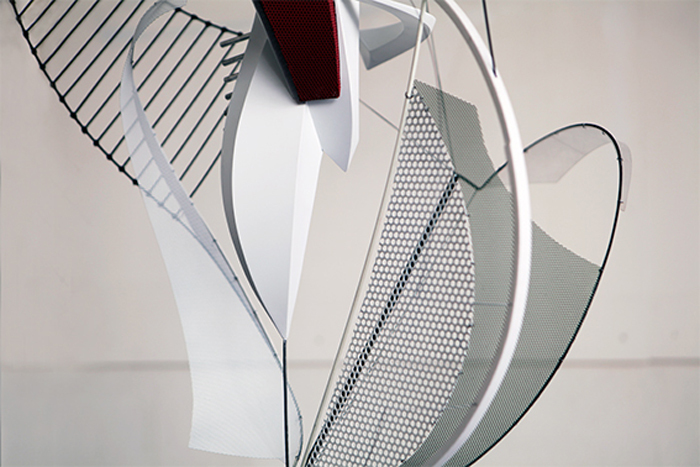 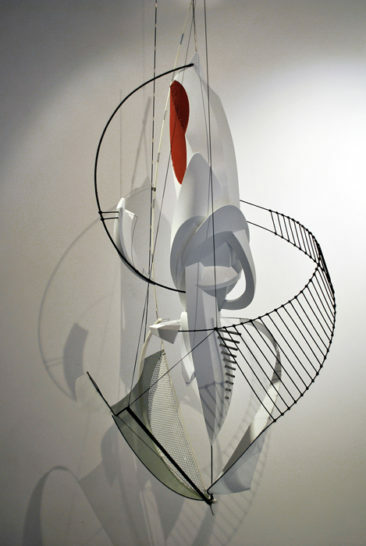 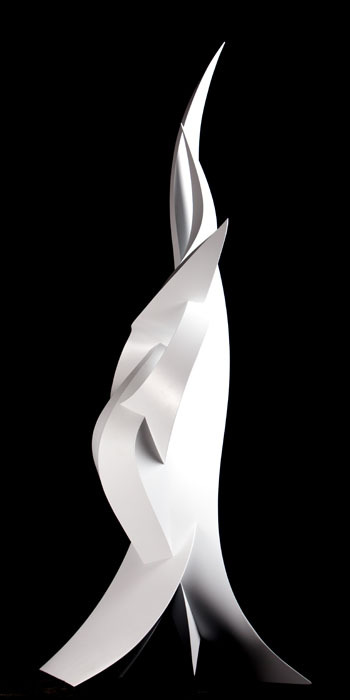 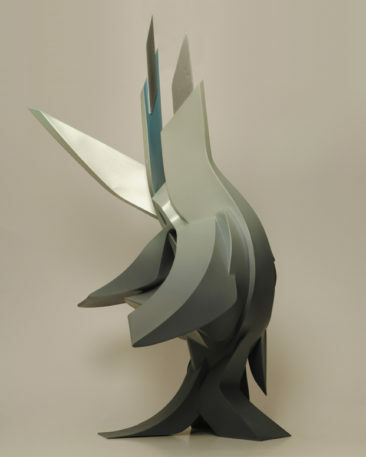 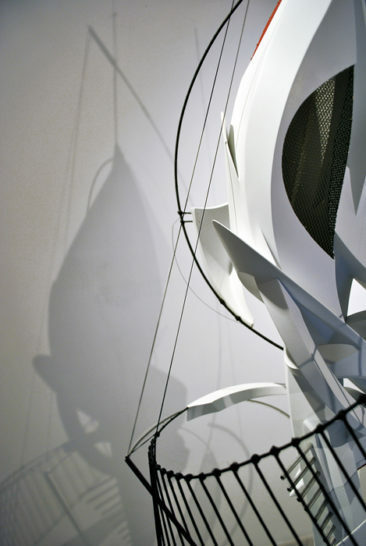 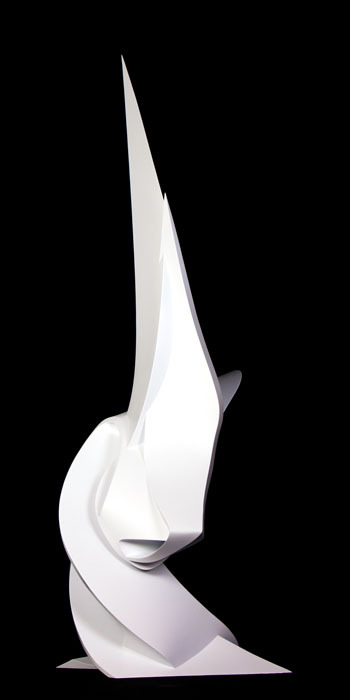 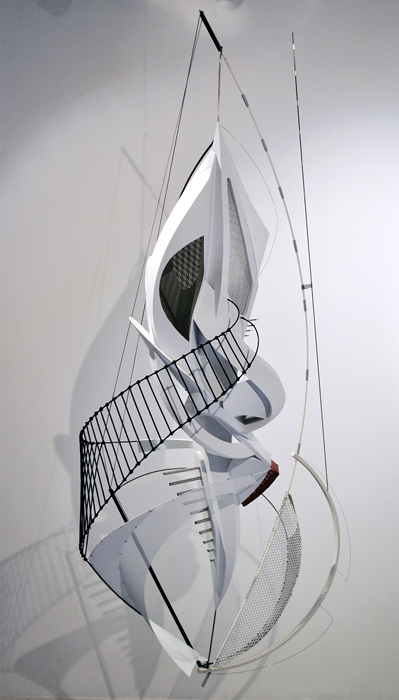 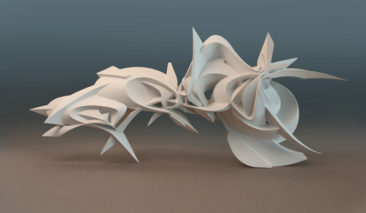 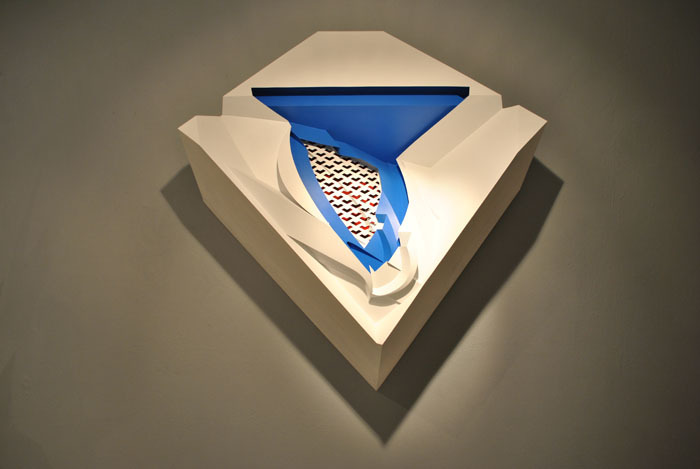 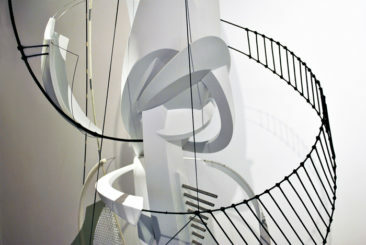 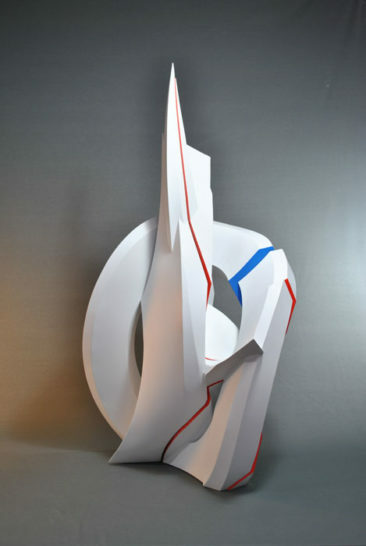 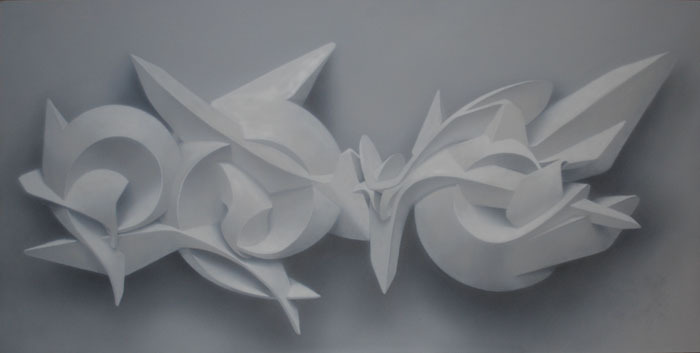 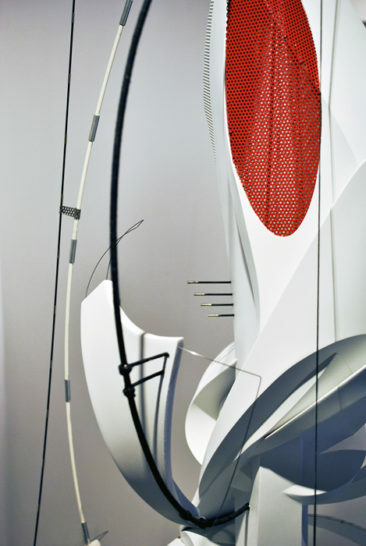 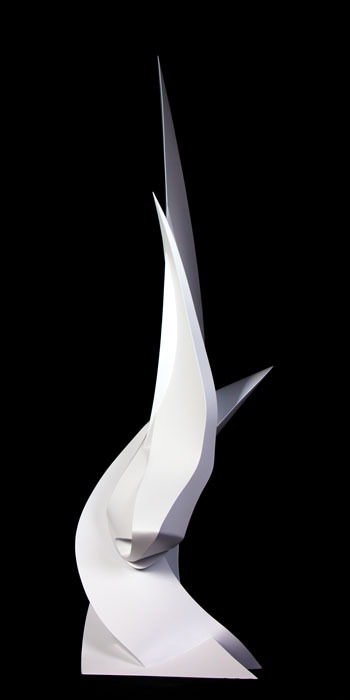 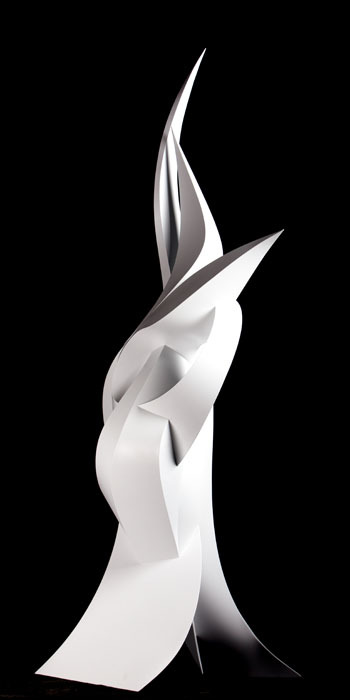 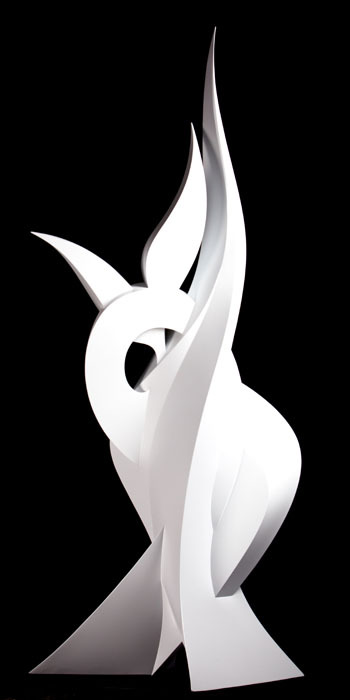 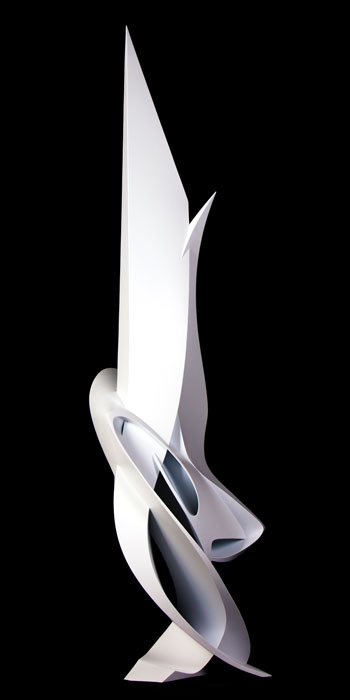 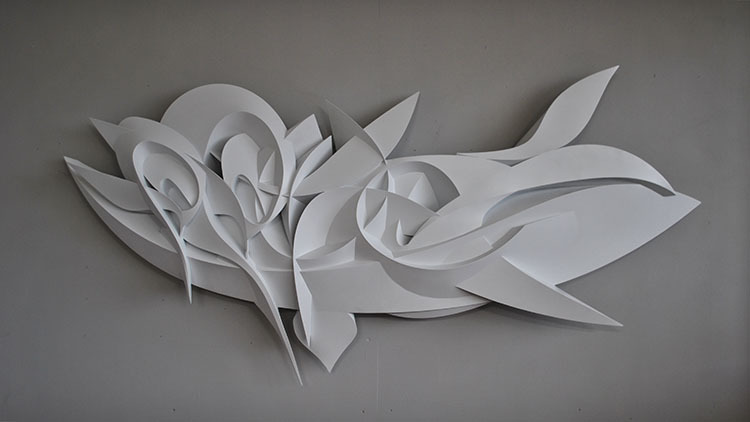 This collaboration joins Peeta’s typical designing attitude in creating sculptures to her opposite one, based on freestyle, the aesthetics of white winding plastic with metal. 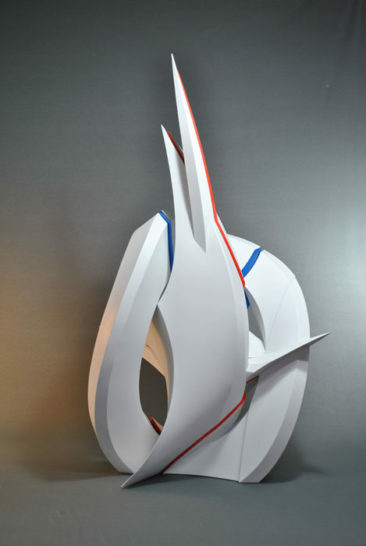 The name of the sculpture gets its inspiration from planets alignment during solar eclipse which coincided with the period when the sculpture has been created. 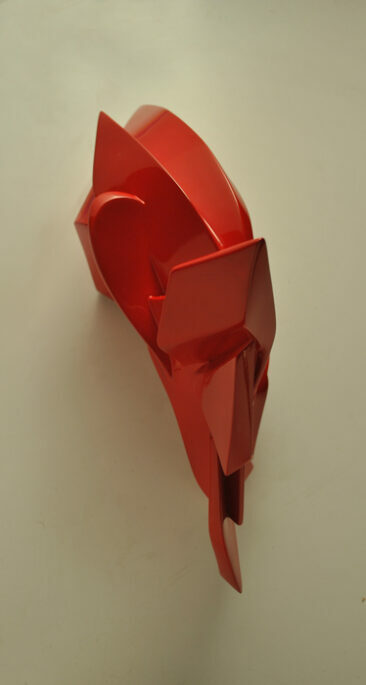 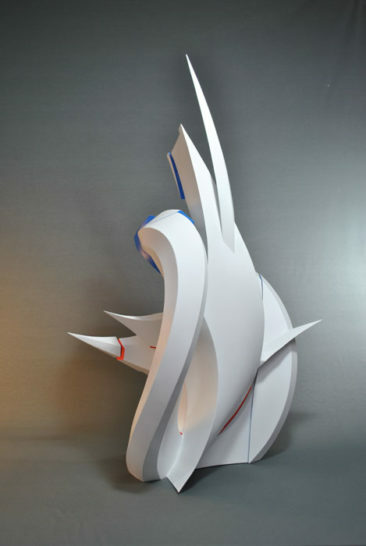 CHARACTERISTICS – An edition of 10 copies made by acrylic resin and fiberglass is also available. 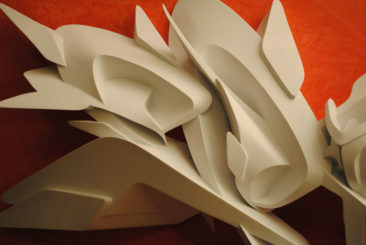 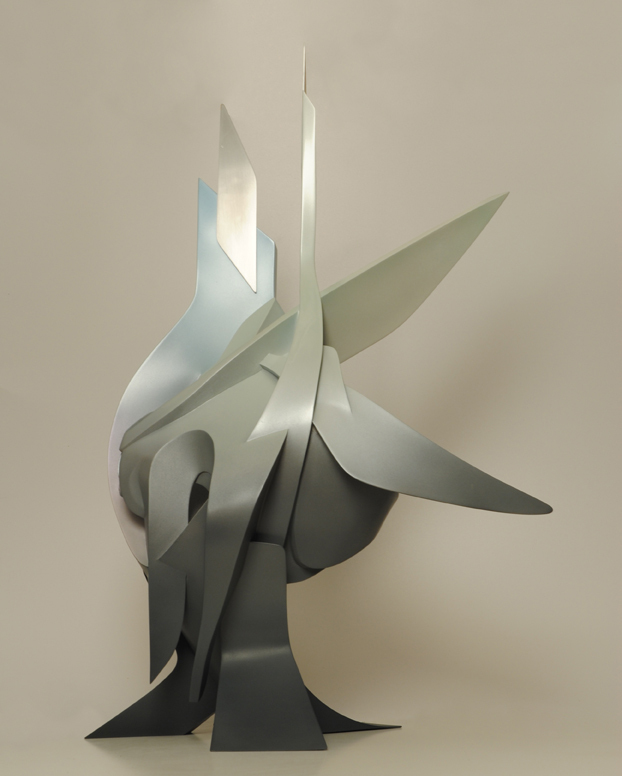 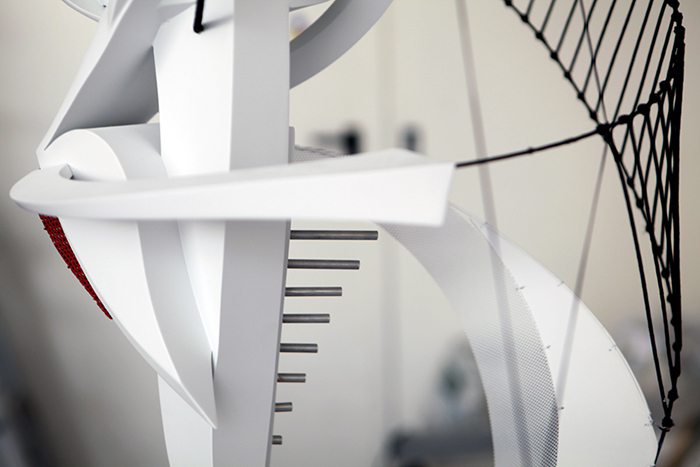 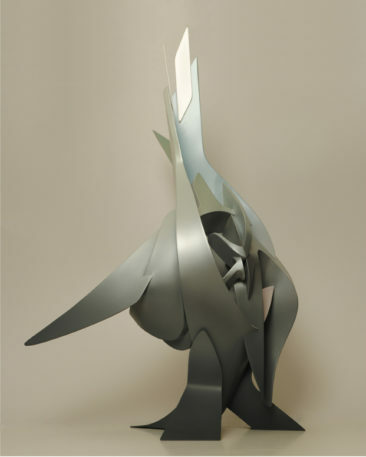 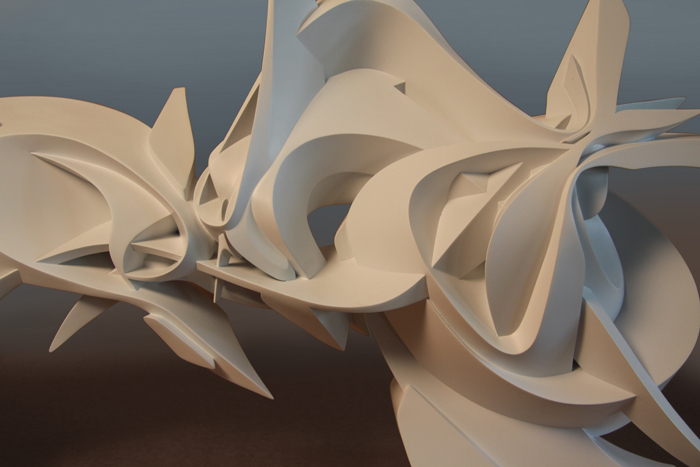 CHARACTERISTICS – The whole structure of Calypso sculpture has been cut into three different sections by curve planes and re-assembled after all of the sections have been shifted. 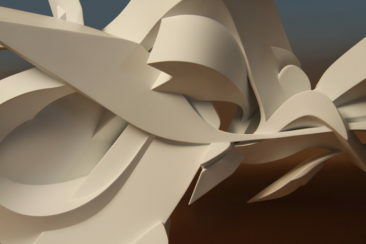 Cutting-points have been colored to highlight the effect. 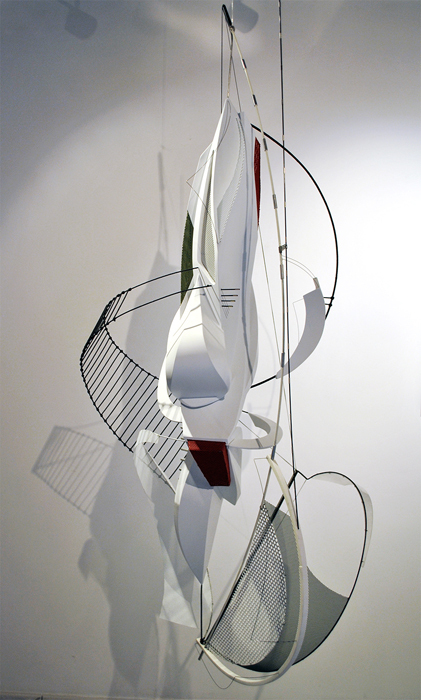 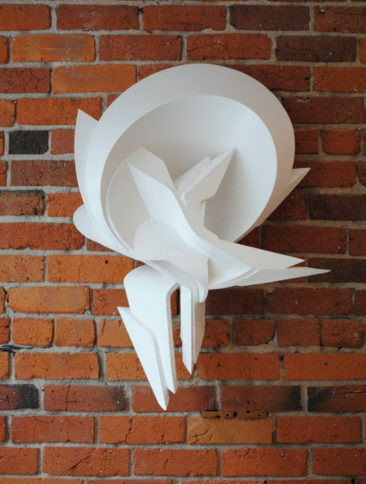 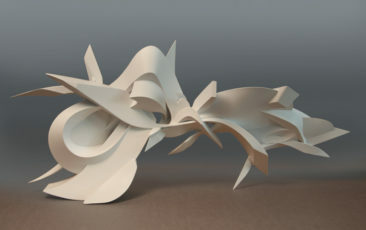 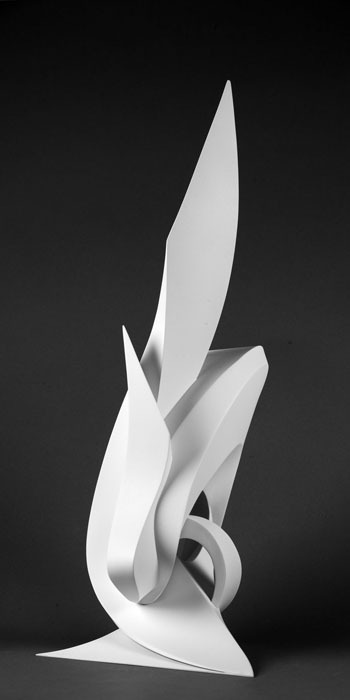 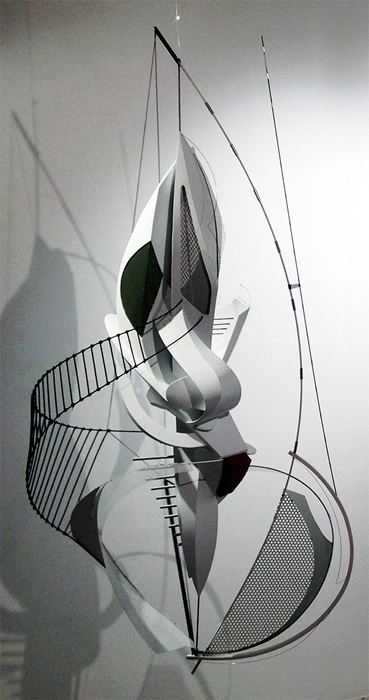 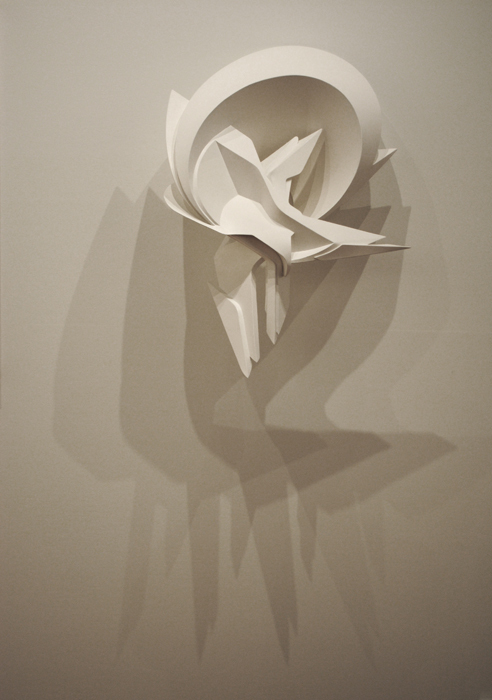 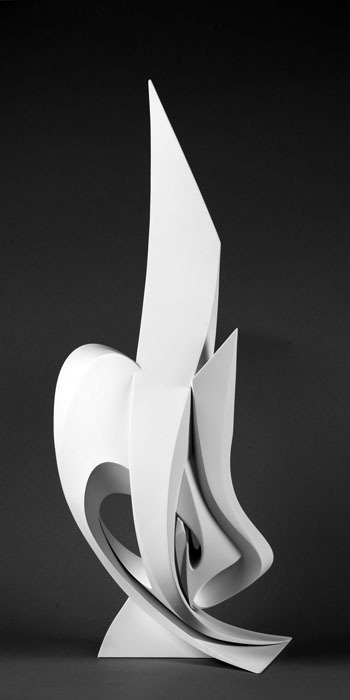 CHARACTERISTICS – Similarly to Calypso, the structure of this sculpture is based on its decomposition. In this particular case the aim is to explore its interior through a structure which reproduces itself, on a smaller and smaller scale, inside itself, similarly to a matrioska. 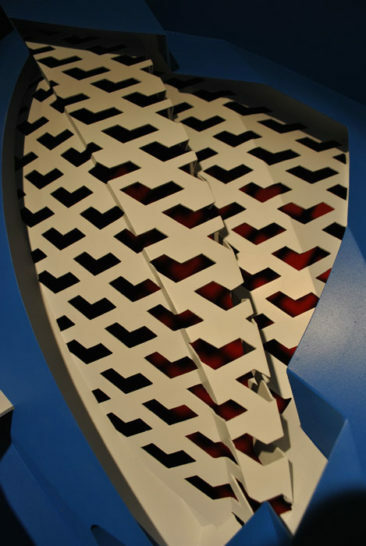 The more internal layer is cut in some points to allow the spectator watching inside. The cut is made following an anamorphic pattern that means its perception depends from the perspective position of the observer. 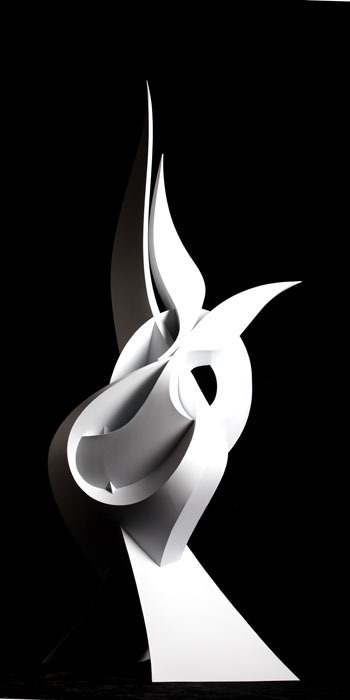 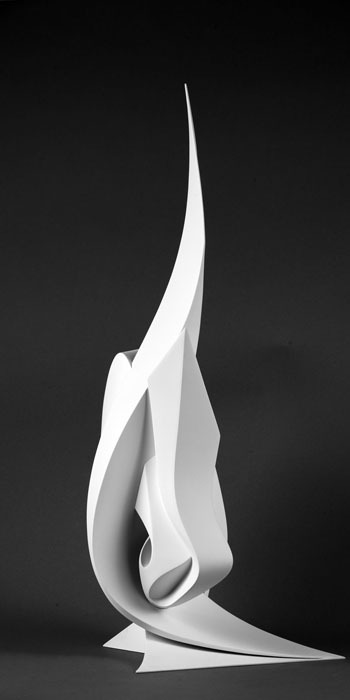 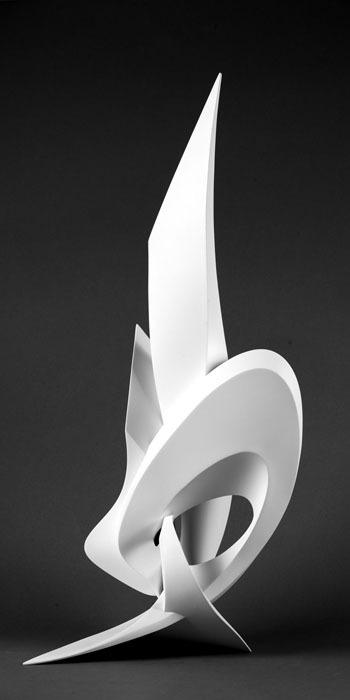 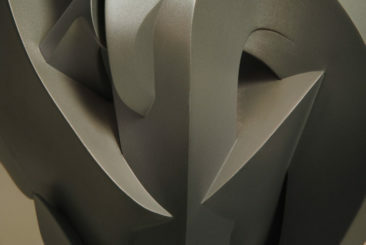 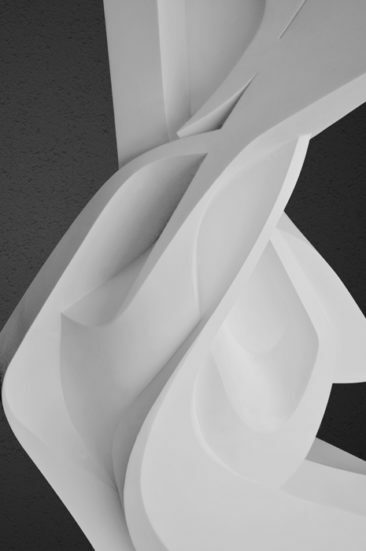 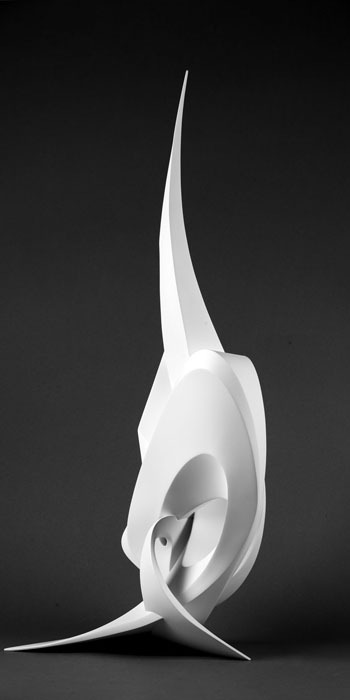 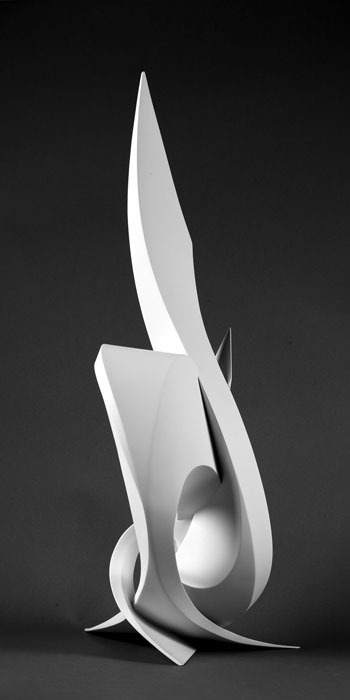 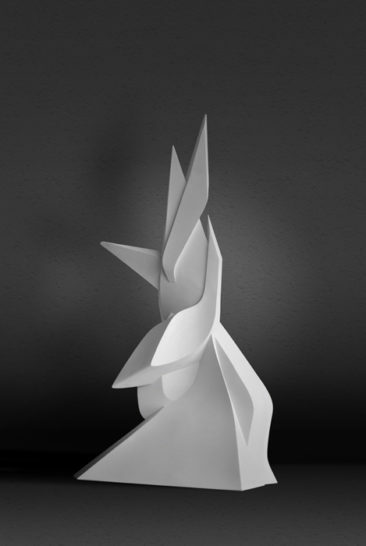 CHARACTERISTICS – Cliquey is the only all-rounded sculpture which represents a whole piece (Peta). 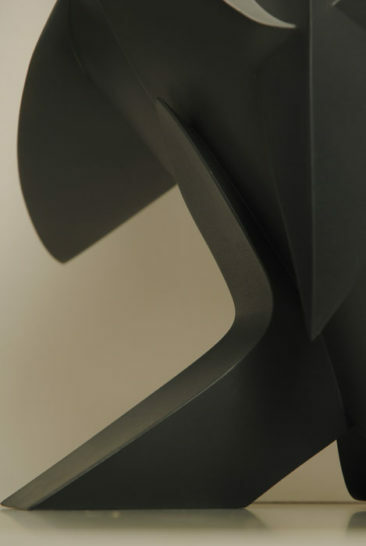 It is not provided with pedestal but freestanding, touching the floor in two main points only. 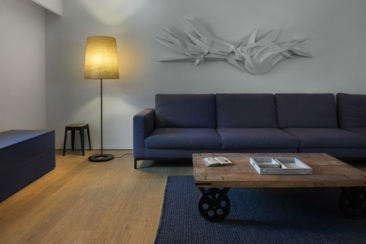 Its design derives from the canvas of the same name, Cliquey. CHARACTERISTICS – Its design derives from the canvas of the same name, Confidence. 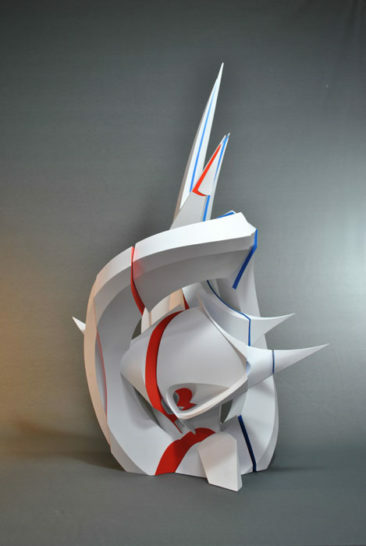 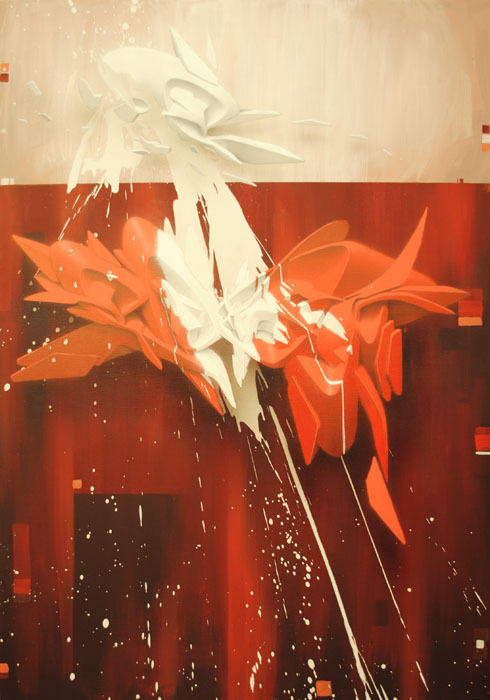 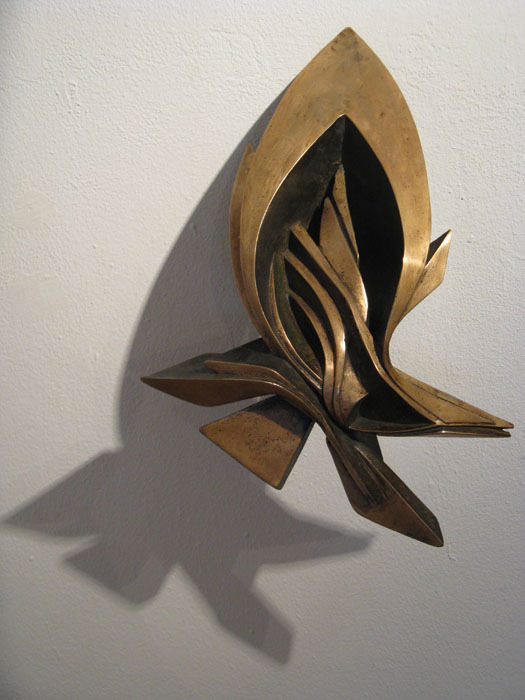 CHARACTERISTICS – This work has been commissioned with the aim of representing the concept of Courage. 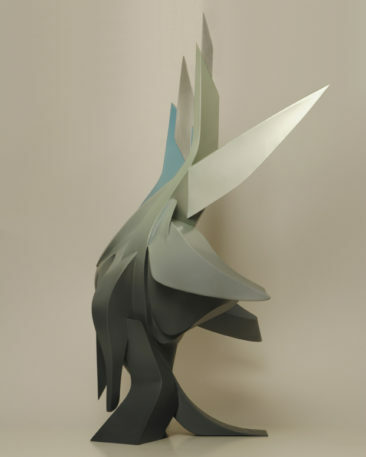 The work moves from a diminished grey, its narrow and crouched base that almost hides in the shadows, to expand towards a glowing and forceful peak. 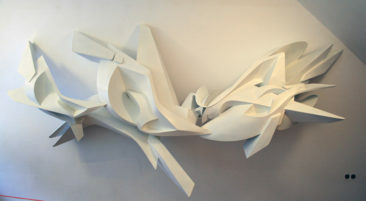 The three heavy bars that root the sculpture are freed, as it were, from the inhibiting tangled and intersecting surfaces to emerge vertically, reaching and sweeping towards an infinite space. 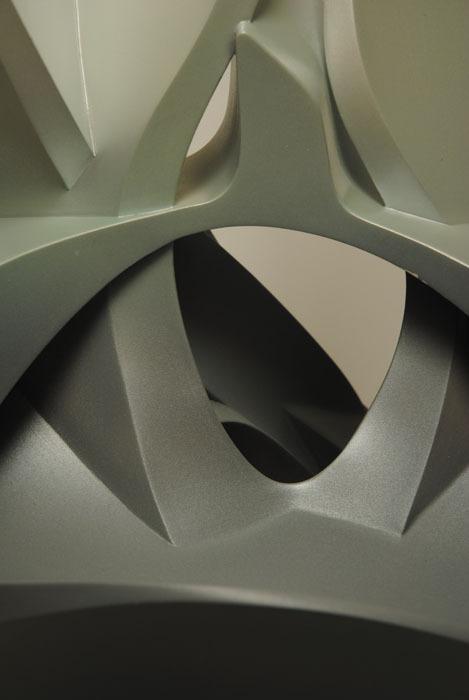 Its surface has been airbrushed with acrylics to create a seamless gradient from a dark grey that fades into a pearly white. Moreover, two aluminum sheets have been added to cover PVC plates to the sculpture’s topmost bars in order to accentuate its vertical thrust. CHARACTERISTICS – This sculpture has been commissioned with the aim of representing a female figure, identified with the Dancer. It is a low-relief composed by the assembling of several parts through magnets. 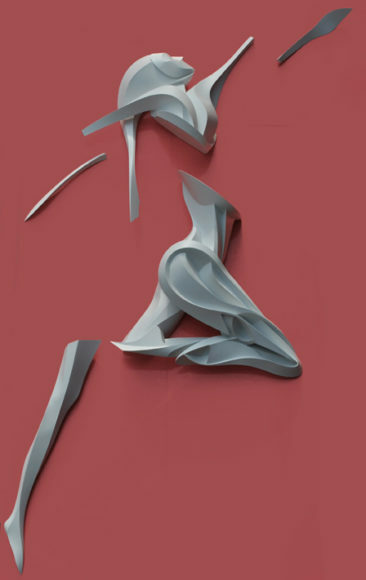 It has been extracted from the anatomical figure of a woman which has been “cut and dug” so to elaborate its shapes and make them closer to Peeta’s traditional ones, never exceeding the outline of the anatomical representation itself. 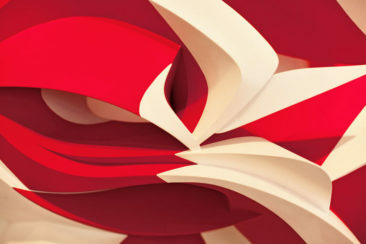 CHARACTERISTICS – Its design derives from the canvas of the same name, Fibonacci. 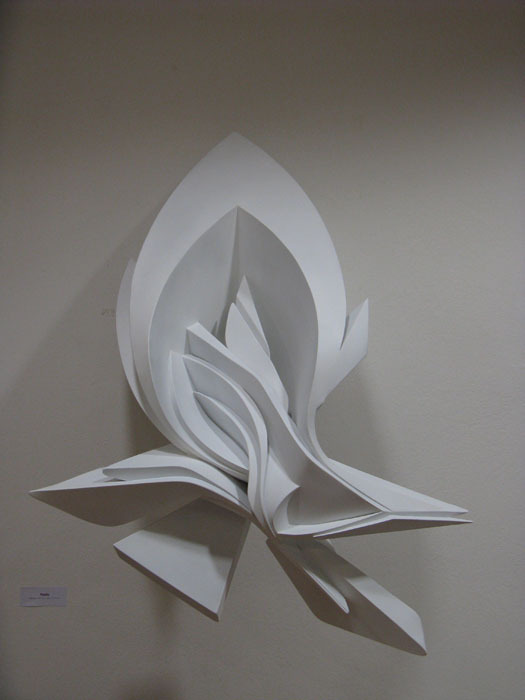 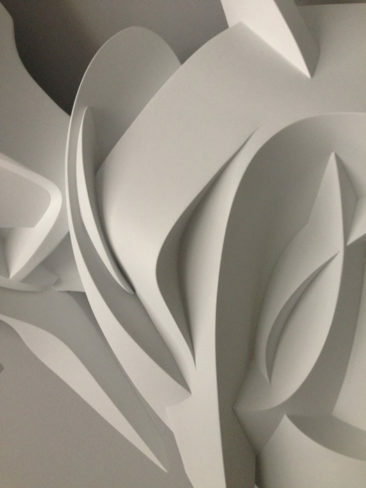 CHARACTERISTICS – Very wide project, consisting on the realization of three sculptures of the same shape using three different materials. 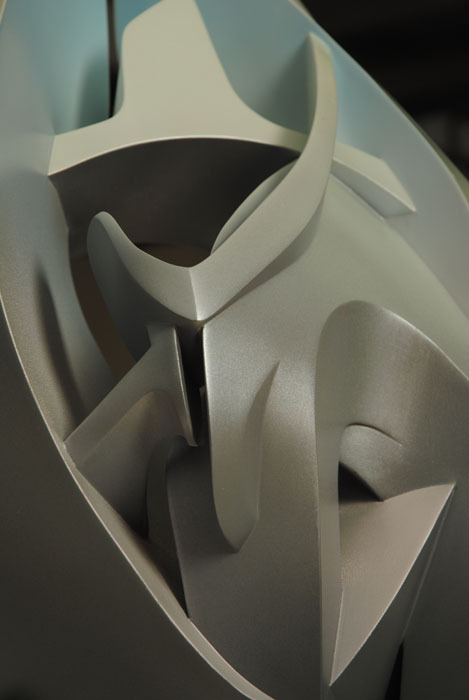 CHARACTERISTICS – All-rounded sculpture vertically oriented designed to be seen from a particular perspective considered as frontal but characterized by a flowing line which joins its whole structure. 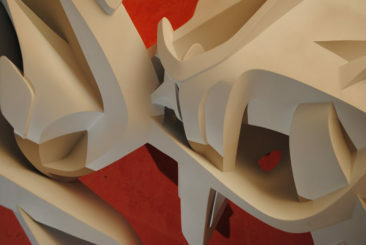 At the beginning, it has been designed to be reproduced in larger scale as part of a public outdoor sculpture project. 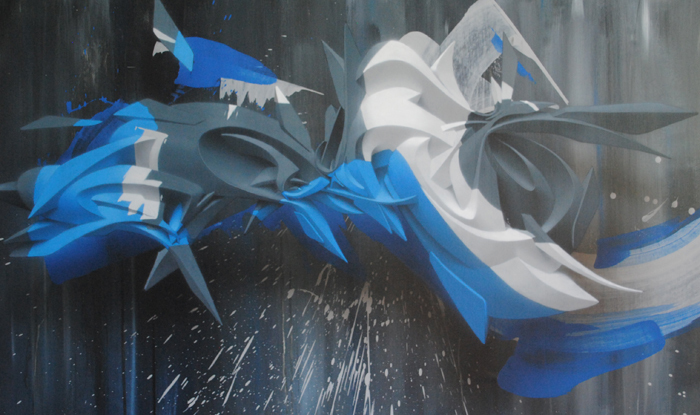 Another version of it of slightly bigger size has also been created for and exhibited at Santorini Biennale 2012. 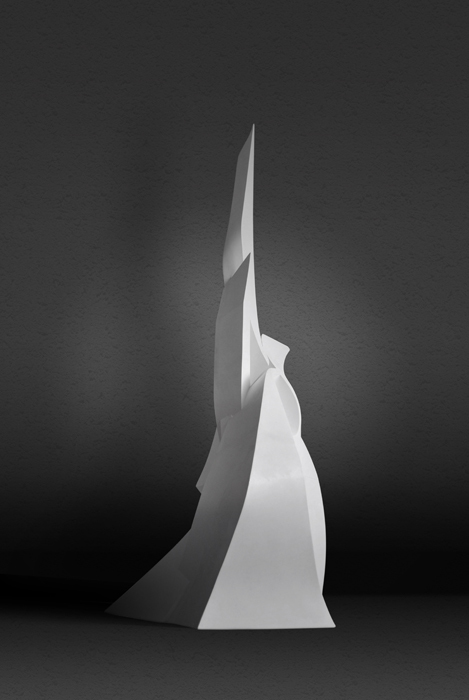 CHARACTERISTICS -This sculpture has been the first one designed for outdoor installation in acrylic resin and fiberglass. 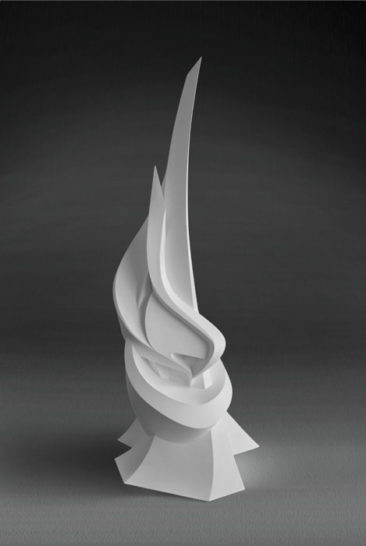 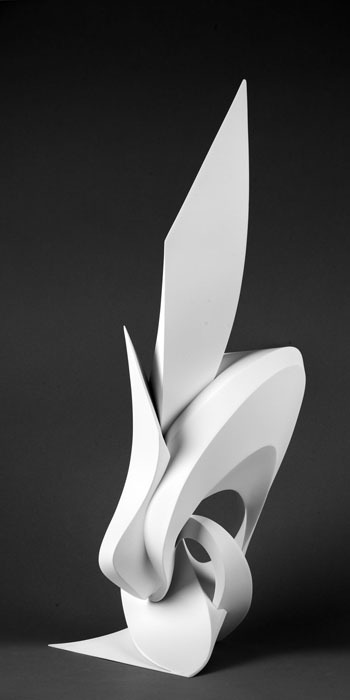 CHARACTERISTICS – All-rounded sculpture to be placed on a pedestal. 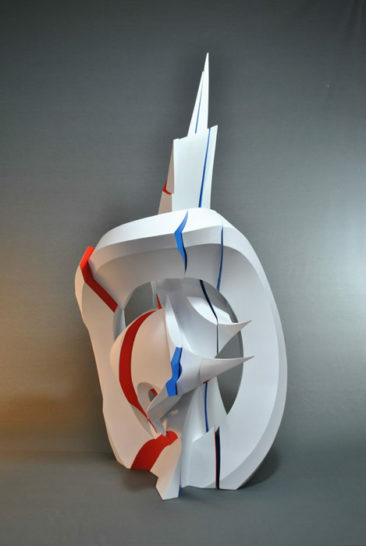 The name of the sculpture (Pinball) derives from the study that has been taken in order to design its shape, namely the dynamism created by a ball bouncing on the floor after having been thrown. 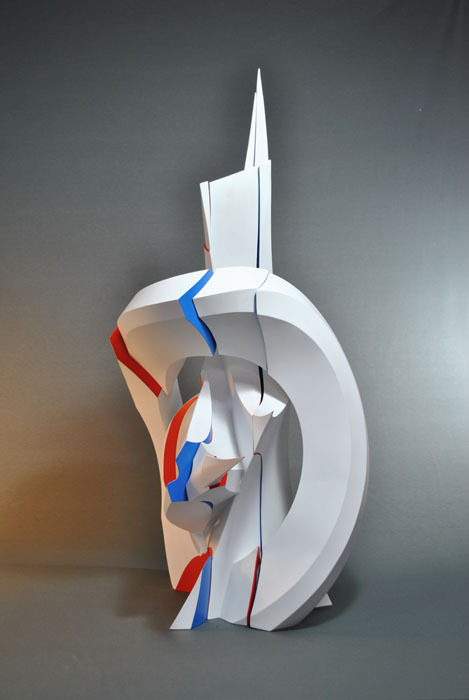 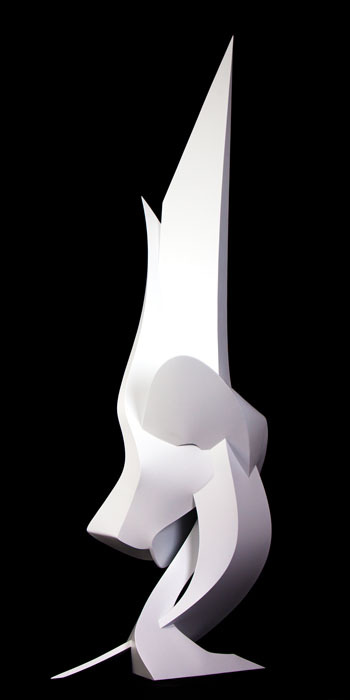 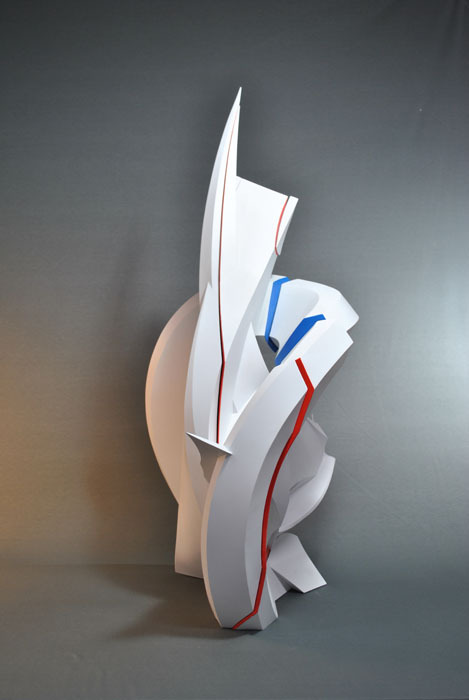 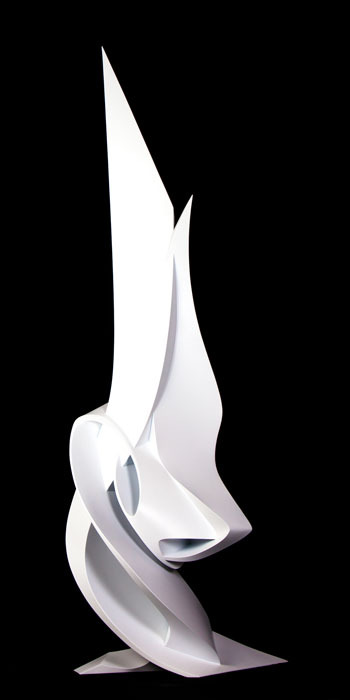 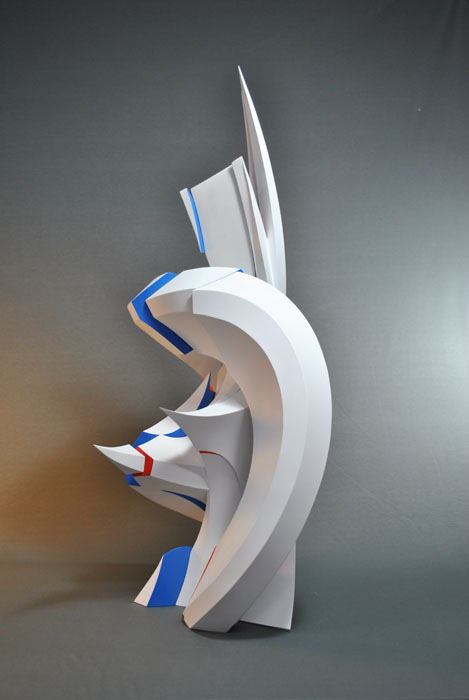 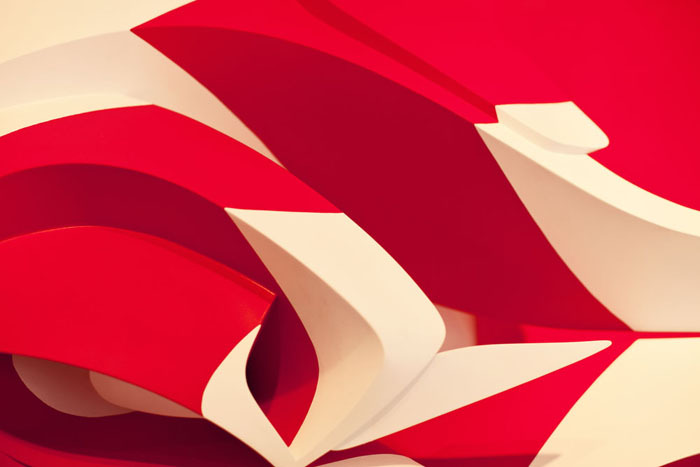 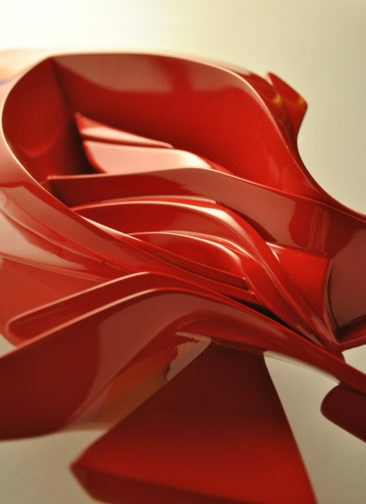 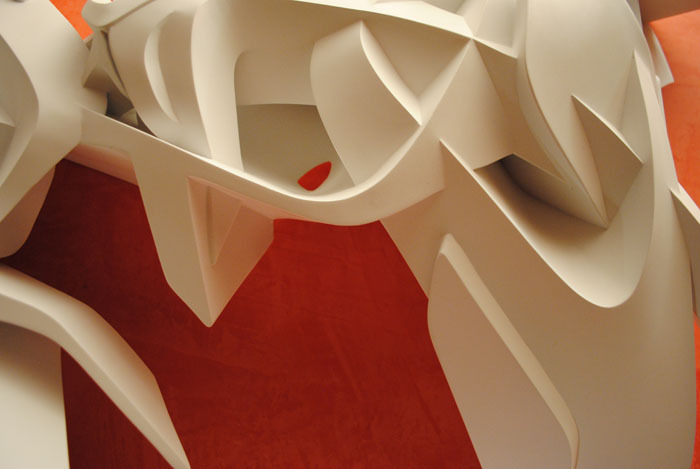 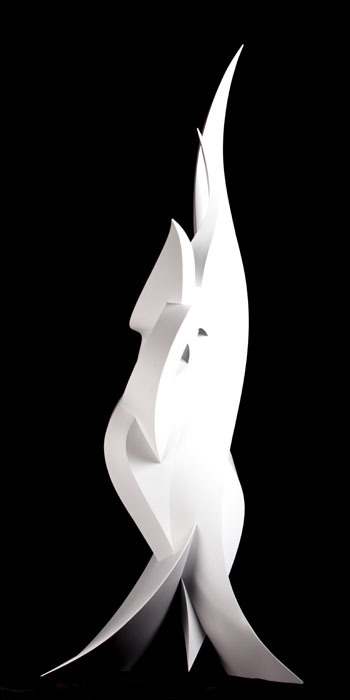 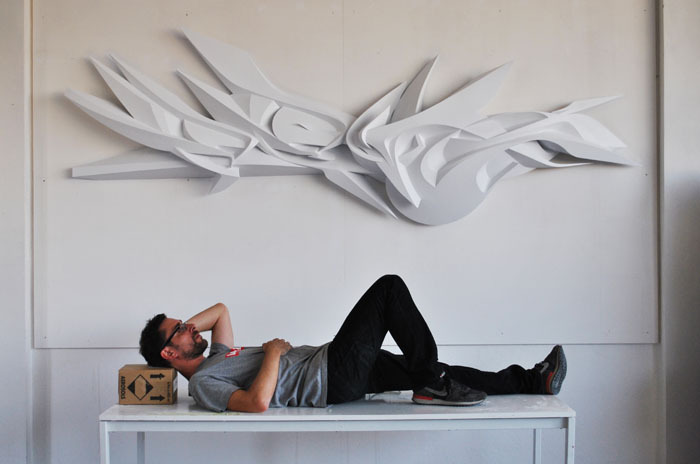 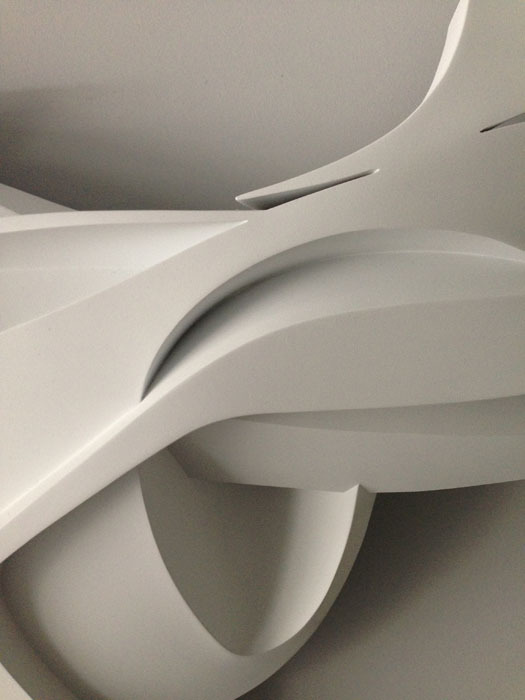 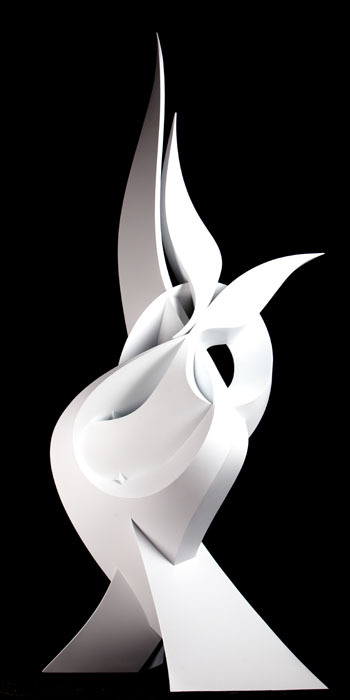 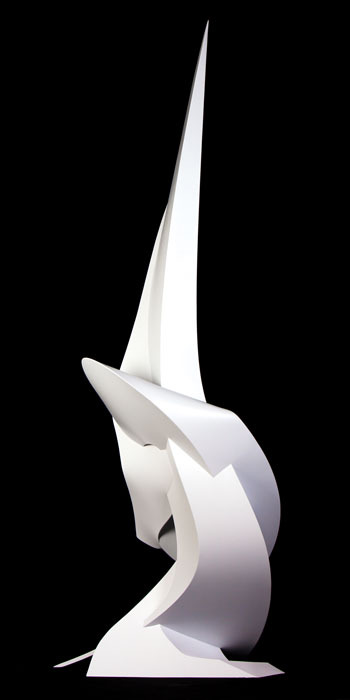 CHARACTERISTICS – Twister is the first big size sculpture made by PVC and expanded polyurethane. 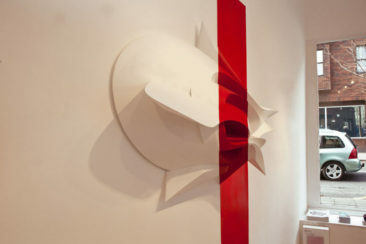 It is now installed at Fresko restaurant in Olso. It is an high-relief. 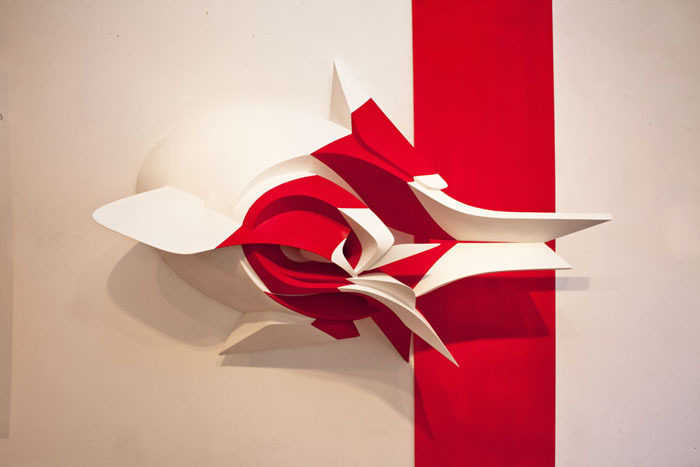 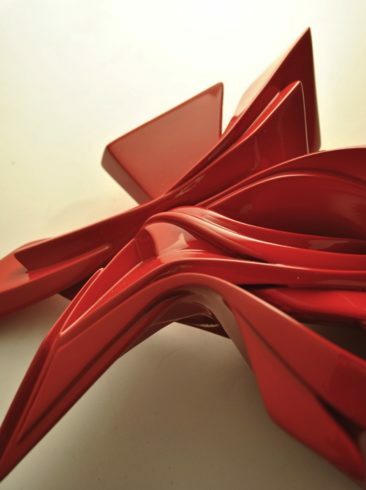 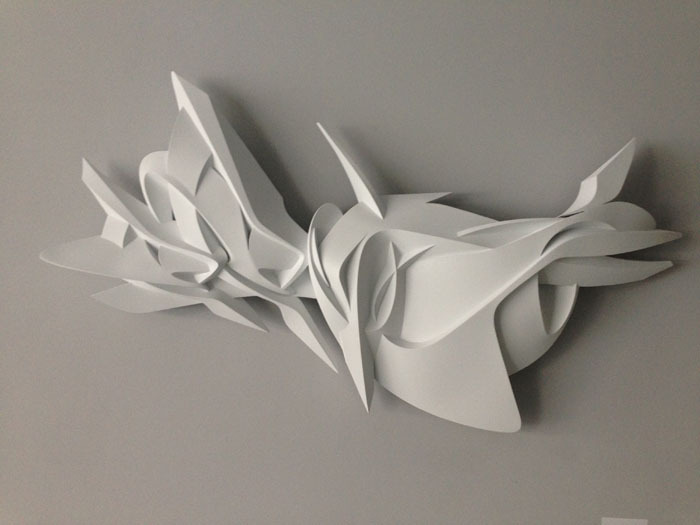 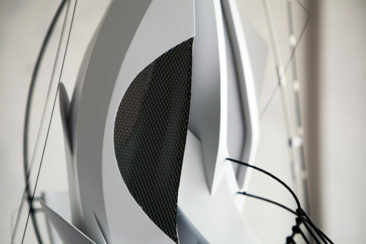 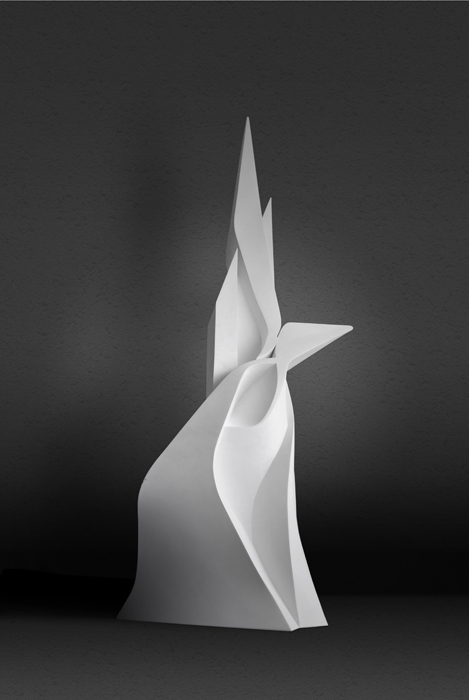 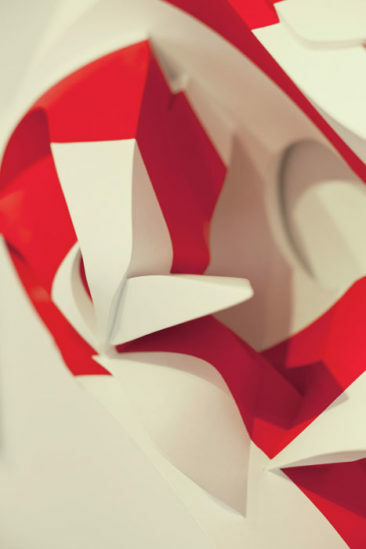 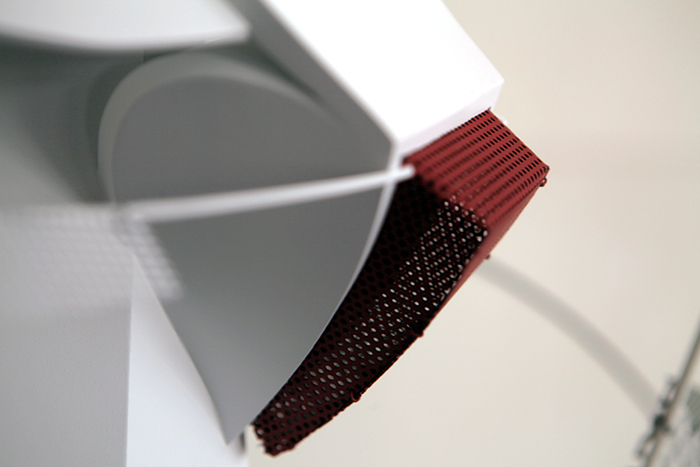 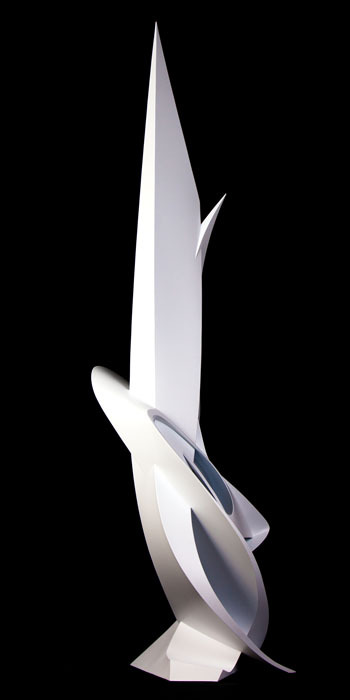 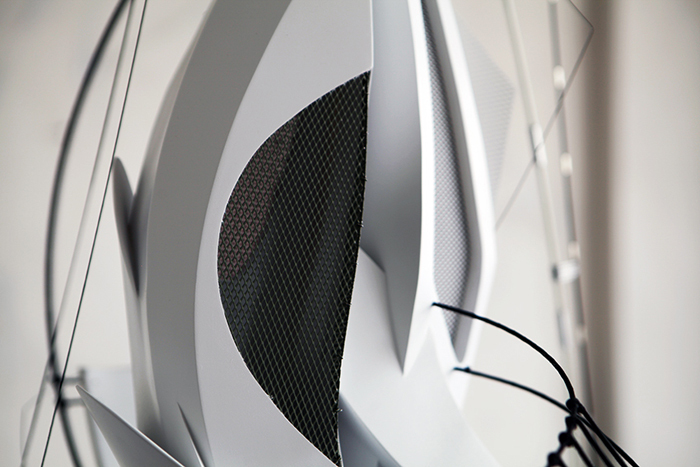 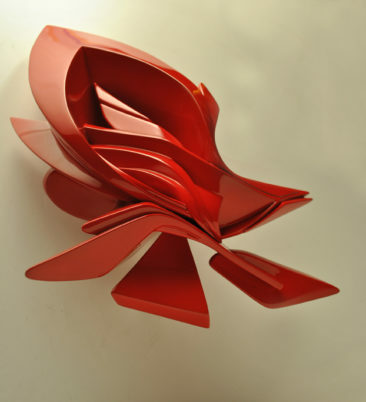 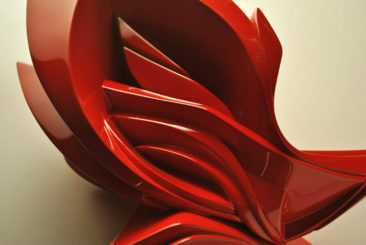 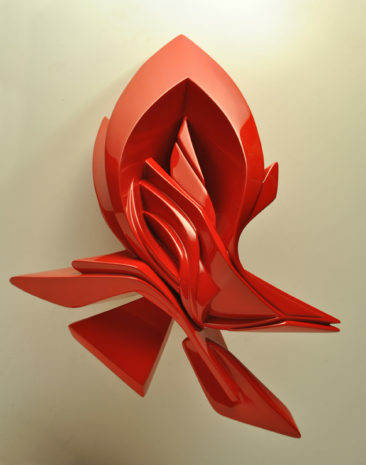 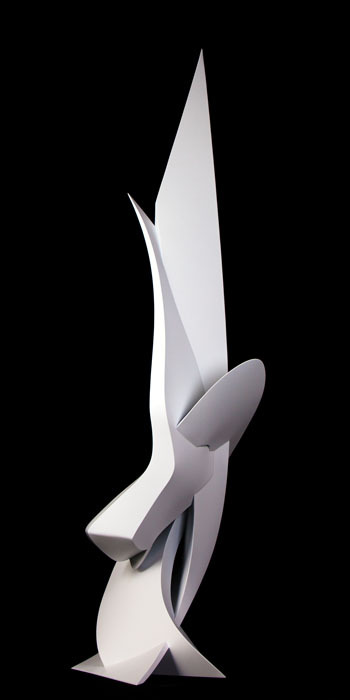 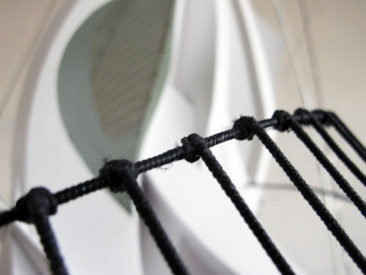 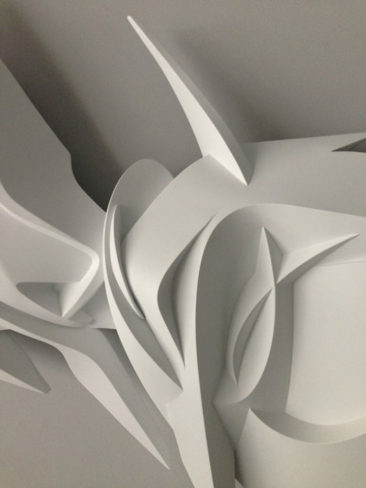 CHARACTERISTICS – It takes its inspiration from previous sculpture, Twister and it reproduces its exact shape. However, Small Twister differentiates itself from Twister as it is colored and all-rounded, installed on a pedestal so that its back side is visible. 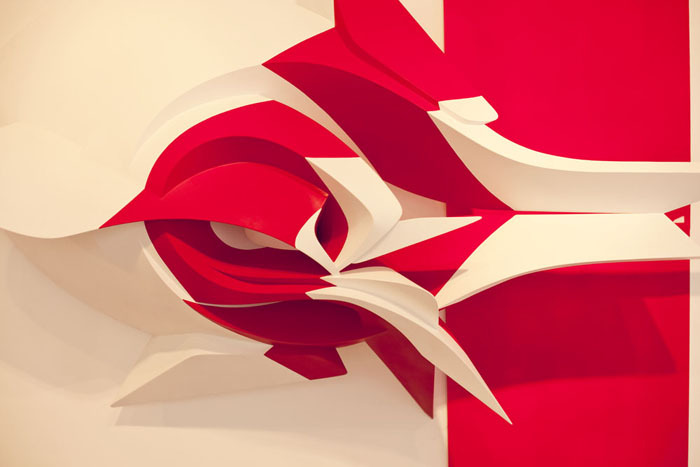 CHARACTERISTICS – If observed from a particular point of view, the parts of the work colored in bright red paint constitute an unbroken line. It is not solely an optical trick, but also a symbolic representation of the succession of an individual’s acts whose meaning can only be comprehended if observed from the right perspective. 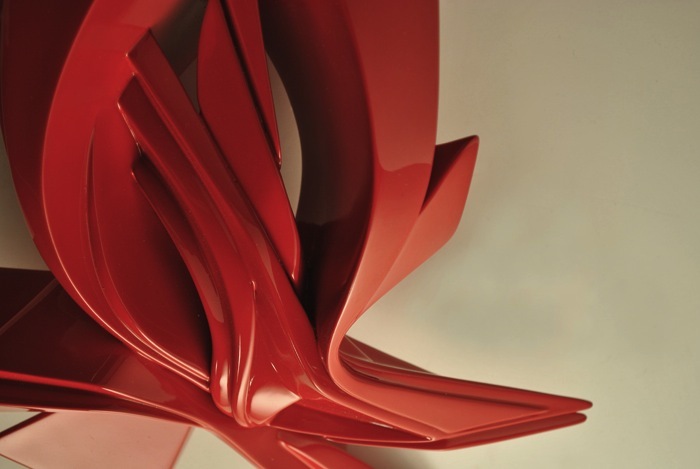 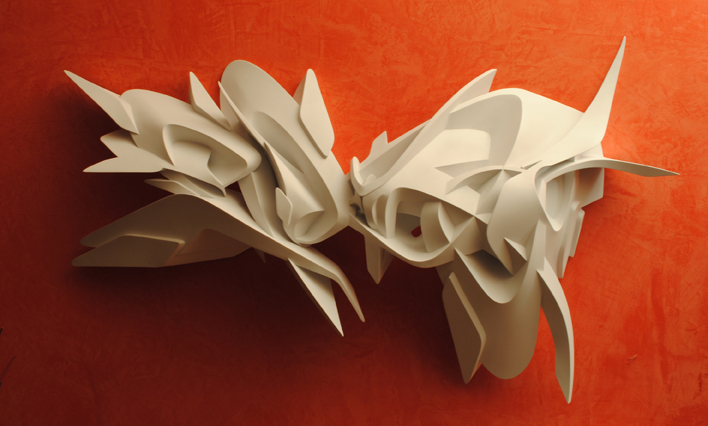 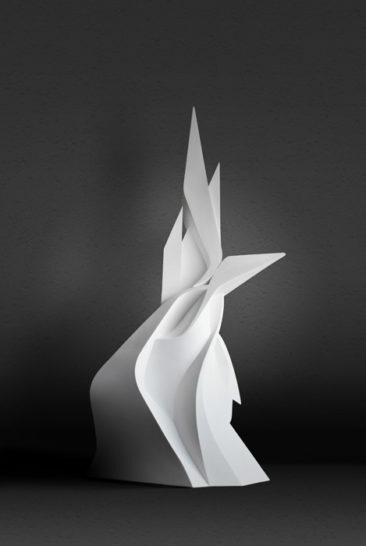 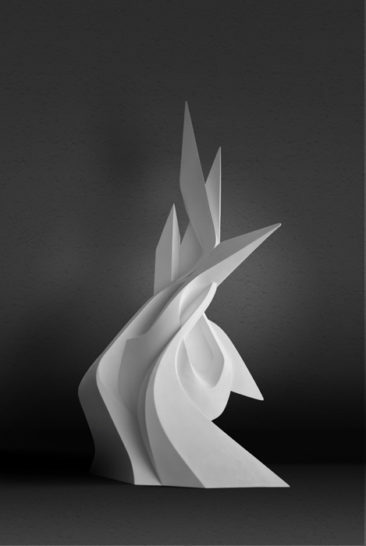 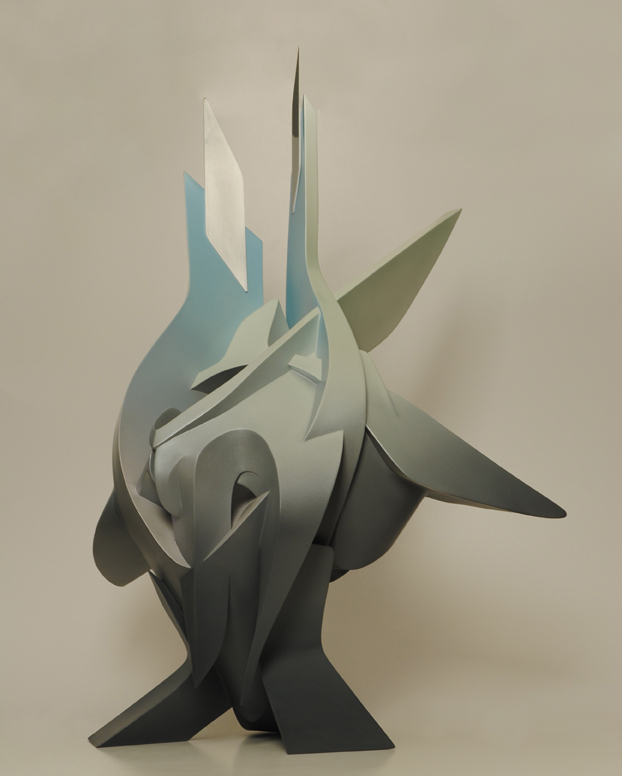 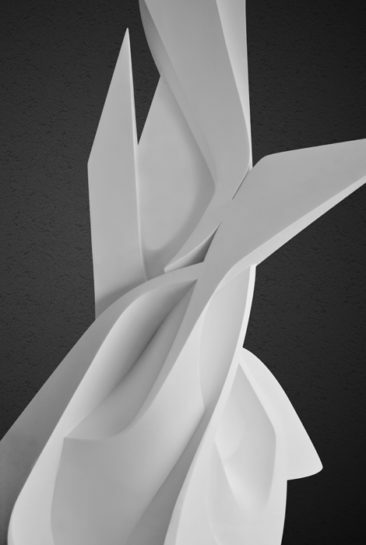 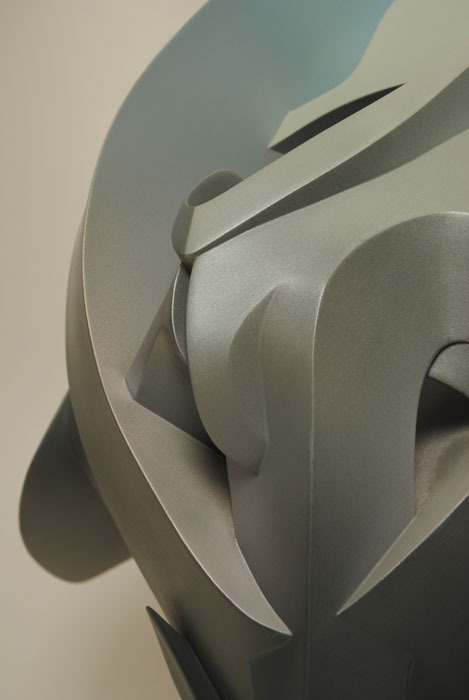 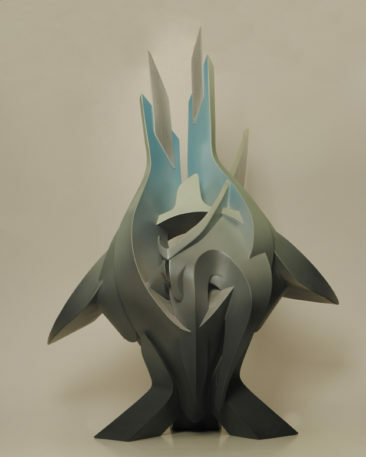 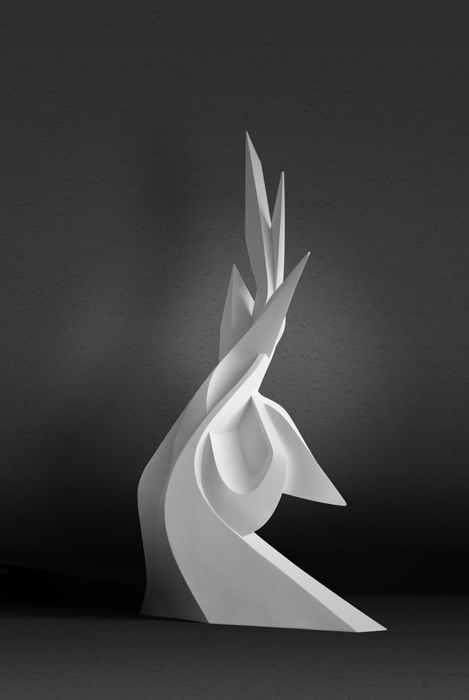 CHARACTERISTICS – Surrender has been the first PVC sculpture not filled with expanded polyurethane, witnessing a significant turning point from the technical point of view. 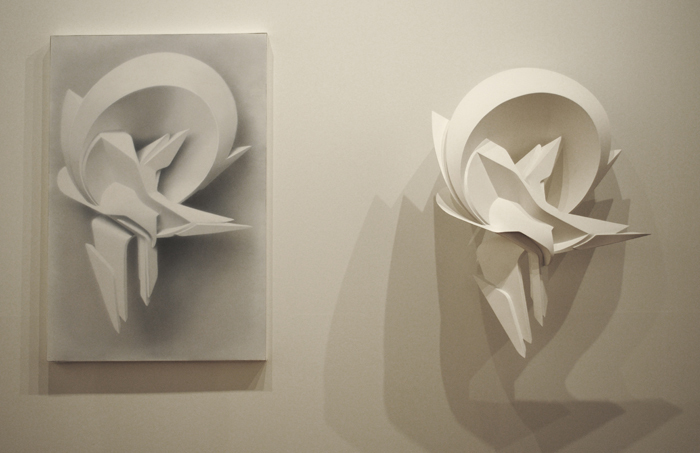 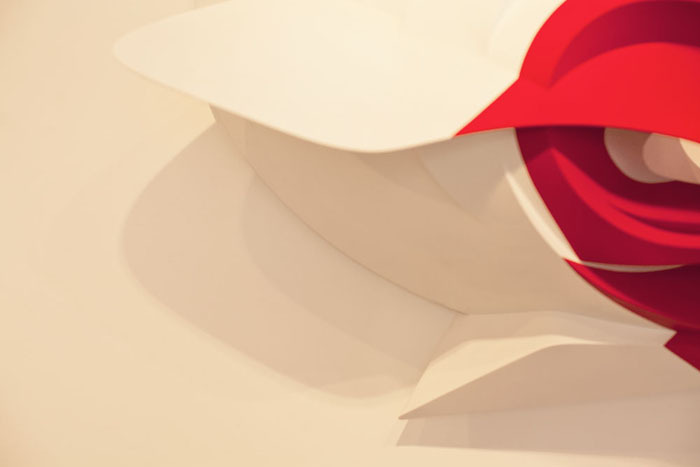 It has been built for Void of Hue show in Vancouver where a series of study on volumes has been exhibited, proposing, side by side, the same subjects sculpted and painted. 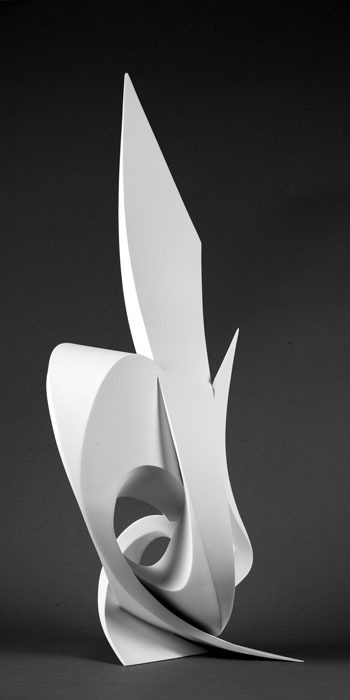 CHARACTERISTICS – All-rounded sculpture vertically oriented. 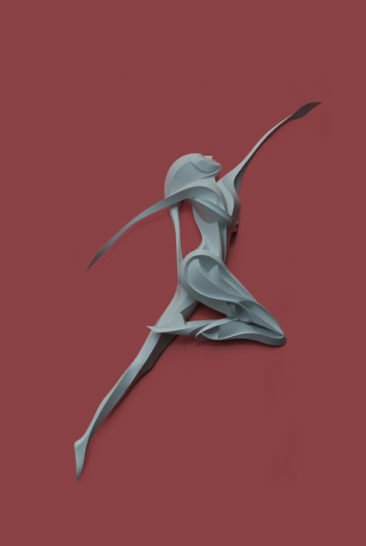 It goes in couple with Mars and they represent femininity and manhood through their opposite shapes: Venus is smooth and curvy contrarily to Mars which is rigid and nervous. 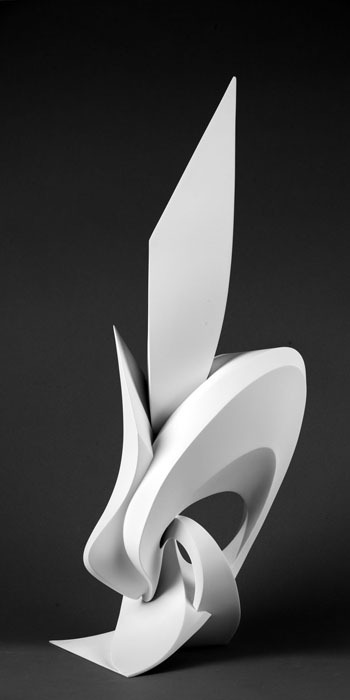 CHARACTERISTICS – All-rounded sculpture vertically oriented. 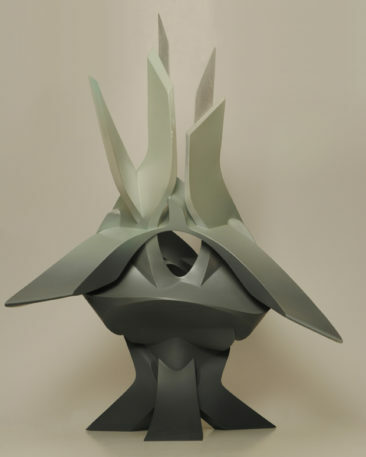 It goes in couple with Venus and they represent manhood and femininity through their opposite shapes: Mars is rigid and nervous contrarily to Venus which is smooth and curvy.